Want to scare your friends when the come to your crib tonight? 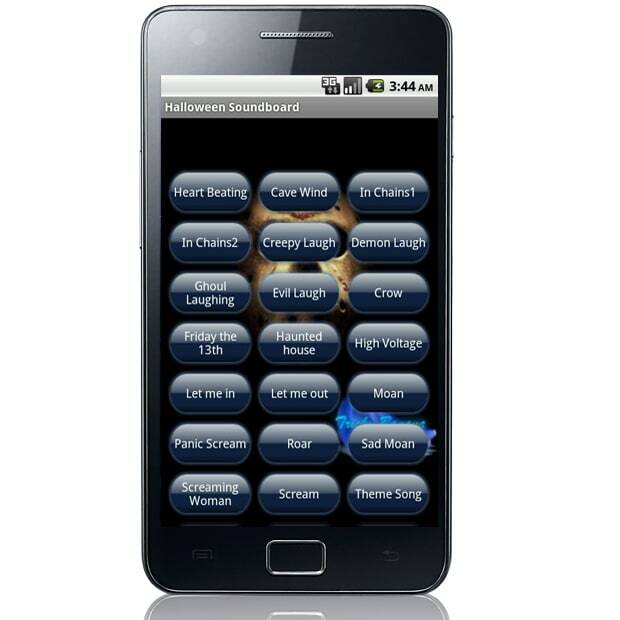 Hook your Android phone up to your speaker system and play some sounds from this Halloween Sounboard. Featuring soundclips such as Ghoul Laughing and Panic Screams, it&apos;s sure to frighten at least one of your friends.